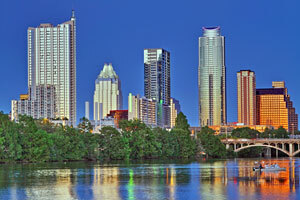 Austin is the capital of Texas, home to over 800,000 people, and is known as the “City of the Violet Crown.” Although Austin is a large metropolitan area full of large business headquarters the residents have a large support for small local businesses. This creates a very large market prime with effective advertising opportunities. The downtown center for shopping and food called SoCo allows for out-of-home advertising that would bolster support from the local residents. Another advertising possibility would be on 6th Street which gets a high amount of traffic due to the abundance of restaurants and bars. The major highways that service Austin offer yet another outdoor advertising or billboard option. Billboards on I-35 or on the Mopac Expressway would yield high exposure of your business.